StarCom Racing has announced Wayne Carroll as crew chief on the No. 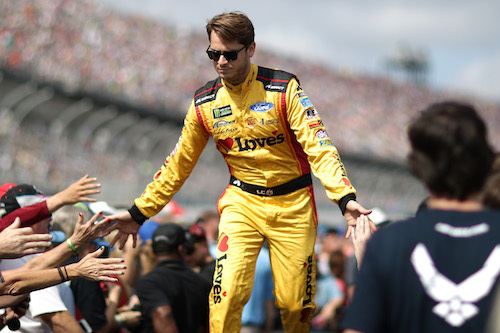 00 Chevrolet team of driver Landon Cassill in the Monster Energy NASCAR Cup Series for 2019. He replaces Tony Furr, who is moving to the ARCA Racing Series. Carroll was crew chief for StarCom’s No. 99 Cup Series car for 12 races last season, including three with Cassill as driver. Both Cassill and Carroll’s positions will be full-time this season after Cassill drove the No. 00 and No. 99 cars for StarCom Racing last year for a total of 29 of the 36 races that made up the season. StarCom will continue to field the No. 99 part-time in 2019 for Derrike Cope. The 2019 season will be Carroll’s first as a full-time crew chief in the Cup Series. He’s been a part-time crew chief in the series since 2015 for a total of 48 races. Carroll also has been a crew chief for 40 NASCAR Xfinity Series races between 2004 and 2018 and 15 NASCAR Gander Outdoors Series races, six in 2016 and nine in 2017. His lone NASCAR national-series top-five was a fifth with Garrett Smithley as driver in the 2018 Xfinity Series season-opening race at Daytona (Fla.) International Speedway.